Last week (23/12) Brian and I were lightly berating Evan for not putting on a Zulu game yet this year, pointing out that we had enough stuff to do another game and we’d need to have a game next week to fit it in during 2014… At this point I remembered that I had a few boxes of plastics in the shed so fetched them in. I then made the rash promise to paint up two units for the game. Given that it was xmas holidays I figured I’d be able to manage it. So whilst we were chatting post game (Dust boardgame as it happens) I dug out some bases and started to clean then; Brian and Evan seemed appalled at the casual brutality I hacked at the figures under the guise of cleaning then up. Not pretty but I am quick. After a few mins I cleaned up a 20 man Zulu unit and 15 Natal Native Horse both mounted and Dismounted with 6 extra riderless horses to add a bit of colour. Figures based and with texture added. 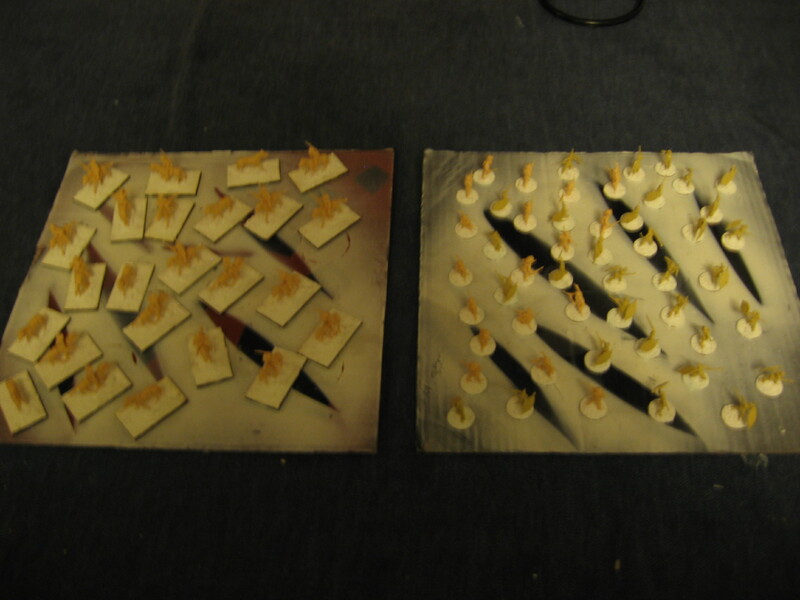 I then sprayed them mid brown as and undercoat and washed them with black (Army Painter) for the first layer of shading and to give them some definition, after that it was a quick job to block paint them and give them a quick dry brush to highlight them. Do the bases was easy enough as was a couple coats of PVA for protection but drying time meant that the last coat of varnish only went on this afternoon (30/12). Still two full units were ready for the game as promised. 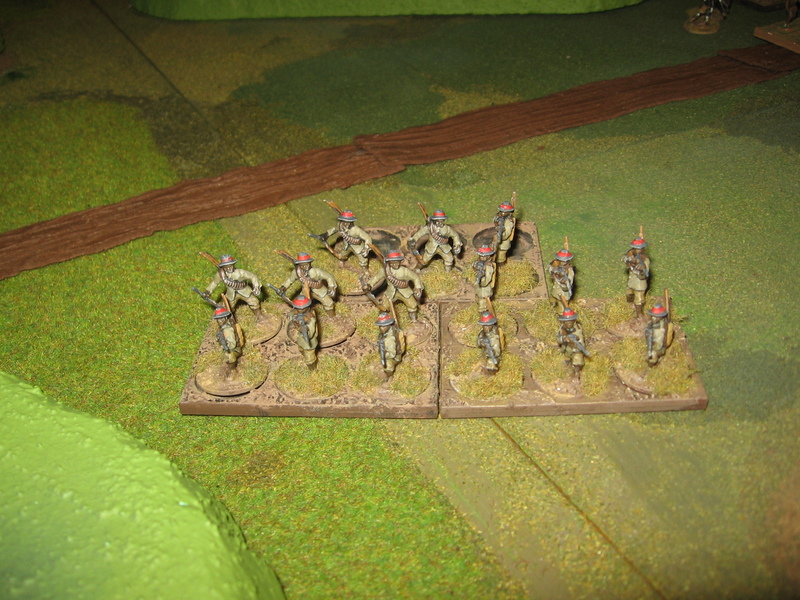 20 Zulus, 20mm Call of Arms plastics. 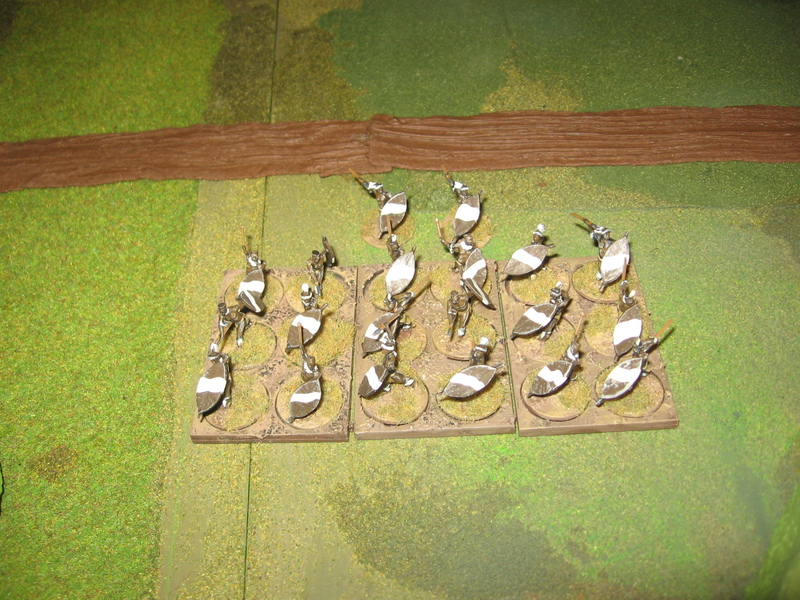 Sabot bases are from Warbases and I’ve had them for a while. 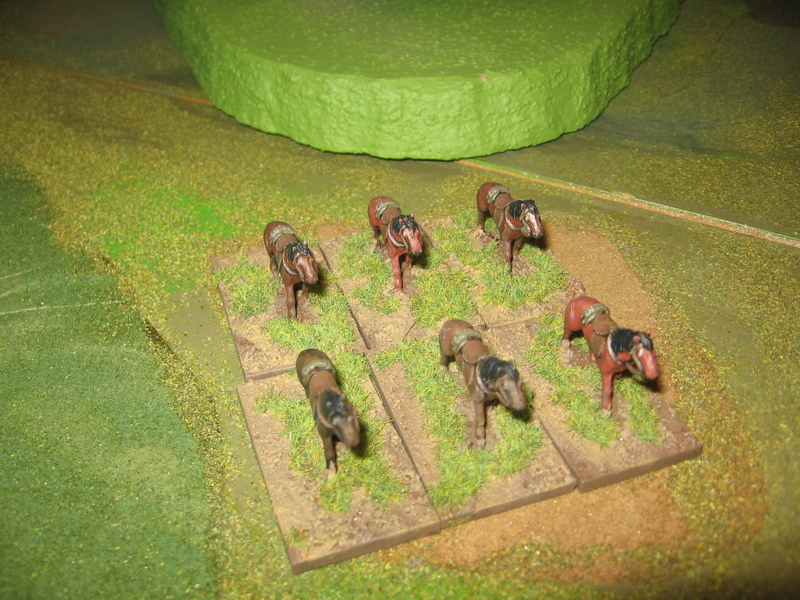 Riderless horses to go with the Dismounted figures. Quite pleased with myself for managing to get them all done in a week and having a Zulu game too. 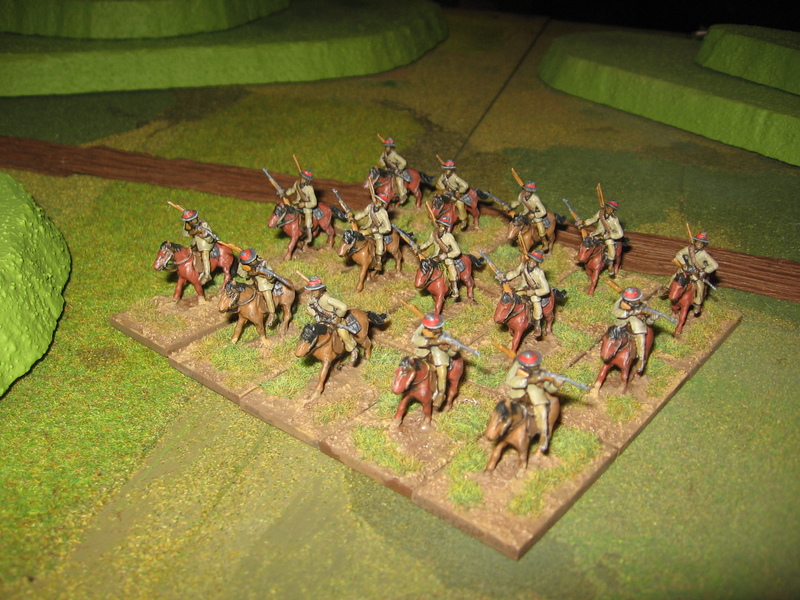 As befits a newly painted unit the Natal Native Horse were massacred to a man….